Kim Swift is calling on women in the videogame industry to be "visible, outspoken and strong" in order to inspire the current generation of girls to become the next generation of game makers. Kim Swift may not be as instantly recognizable a name as, say, John Romero or CliffyB, but you almost certainly know her work. She headed Valve's Portal development team and was also involved in the creation of Left 4 Dead and Left 4 Dead 2 before departing to direct the development of Quantum Conundrum for Square Enix. She knows a thing or two about making games, in other words, and she also has a few ideas about how to address the problem of sexism in the game industry. "As a participator in the 1ReasonWhy hash tag, I am ashamed to admit that I am scared of sharing everything; I'm scared of sharing the worst of it," she wrote in a recent blog post. "I am fearful of delving below the surface. Talking about this subject in public is terrifying because frankly you never know when retribution is going to rear its ugly head and what sort of consequences will come about because of your words." She acknowledged that sexism isn't a problem that can be overcome quickly or easily, because adults aren't going to change their deeply-held beliefs just because someone on the internet told them to. Kids, on the other hand, aren't quite so stratified in their thinking, and they're the ones she believes should be the focus of efforts to change the landscape. "I have a secret wish. Whenever I'm in the public eye, whether it's doing PR or giving a talk - and this is going to sound amazingly corny - I hope that there's a little girl out there that sees me and thinks to herself, 'Oh look! 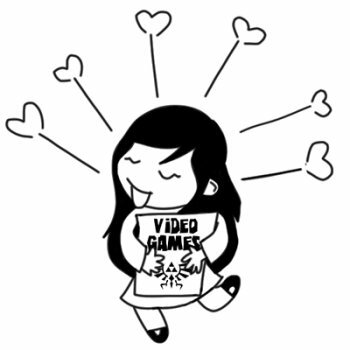 Girls make games too'," she wrote. "I see the solution to this problem coming not a year from now, not five years from now, but twenty. When this current generation of kids sees the good example that we should be setting now. And though we may not be able to tell it completely like it is just yet, there's still plenty we can do to help future generations of game developers," she continued. "So ladies, my call to arms is this: Be visible. Be outspoken. Be strong. Be smart. Be kind. Be everything that the younger versions of us could've pointed to and proudly said: 'Girls make games too.'" Sounds like pretty smart advice to me.